JSDC was organized to develop employment to improve business conditions and advance the interests of the City of Jamestown and Stutsman County, North Dakota by implementing and sustaining an organized effort to attract new businesses and industry, support existing businesses and industry, and encourage new business starts. Jamestown/Stutsman Development Corporation's focus is primary sector job creation. The corporation has a multimillion-dollar economic development program available to assist with expanding or relocating business. The Jamestown/Stutsman Development Corporation owns the I-94 Business Park which has 30 acres available for manufacturing, warehouse distribution or national service. JSDC is also co-owner of the Spiritwood Energy Park which has 500 plus acres located approximately 10 miles east of Jamestown and features convenient access to rail, Interstate, highway, water, wastewater, heavy power & steam. 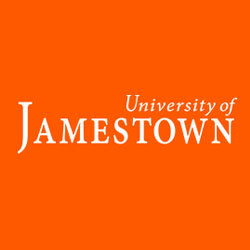 Jamestown/Stutsman Development Corporation (JSDC) is dedicated to area economic development growth and diversification. These documents are used by JSDC to govern internal operations. JSDC Policies & Procedures: This document establishes policies and guidelines on how to prudently use the proceeds received by the City of Jamestown and Stutsman County for job creation in conjunction with state and federal incentive programs.